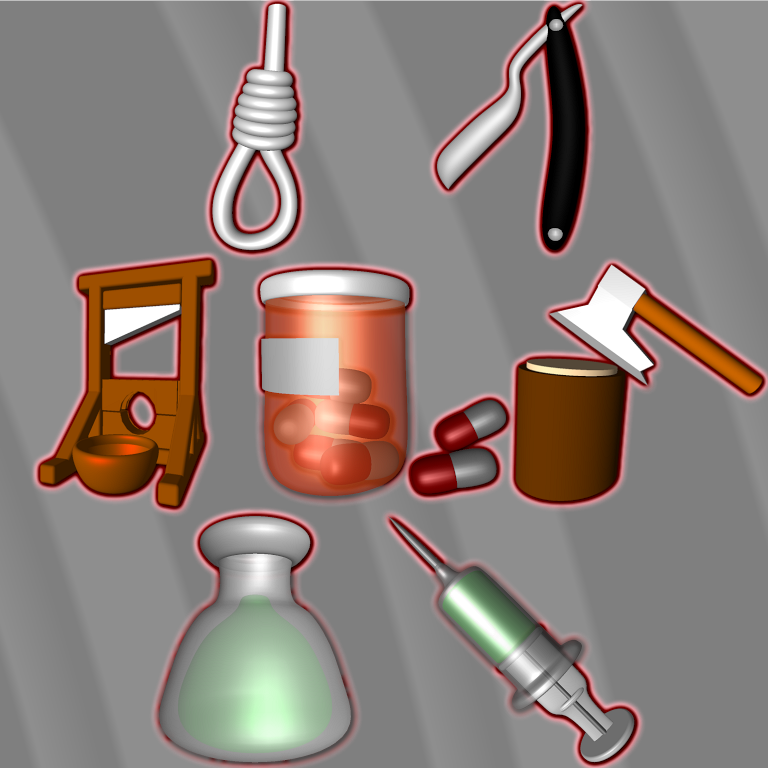 Icons of Guillotine, Poison, Noose, Razor, Injection, Axe and Pills. 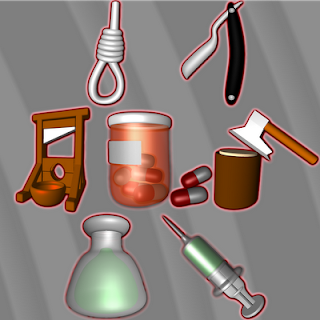 Deadly Instrument Icons have only descriptive function, but I agree, that is a little morbid theme. Next time it will be better, I promise.